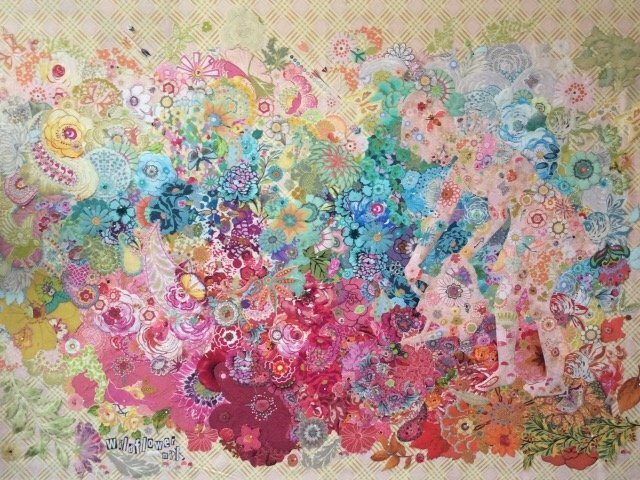 Wildflower mix is Laura's featured quilt for her special exhibit at the 2016 Road to California Show. The pattern includes full instructions for making the floral collage quilt and the full sized silhouette. Make this your own with your favorite fabrics!